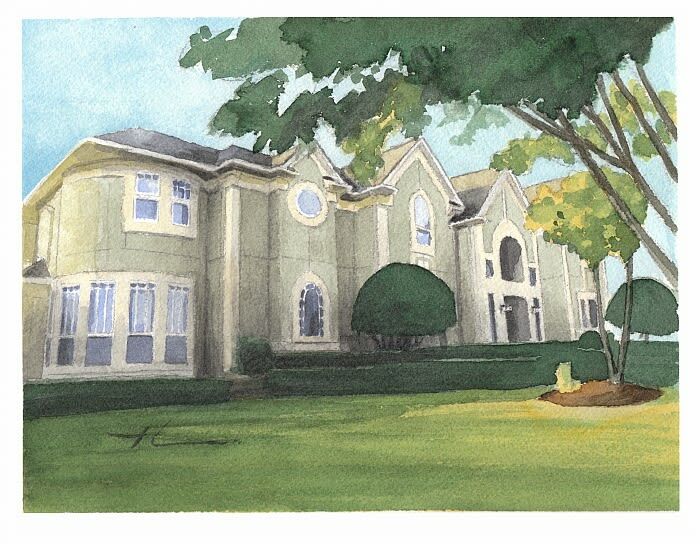 These watercolor portraits are ones I made from photos supplied by customers. (I am a professional portrait artist.) I used transparent watercolors on Arches 140lb cold-pressed paper. The Labrador painting is 16x20 inches while the house painting is 8x10. But which light source? Each watercolor painting above has two sources of light, direct and reflected! In each of these watercolor paintings reflected light was my focus. It was the reflected light I used to create light movement. 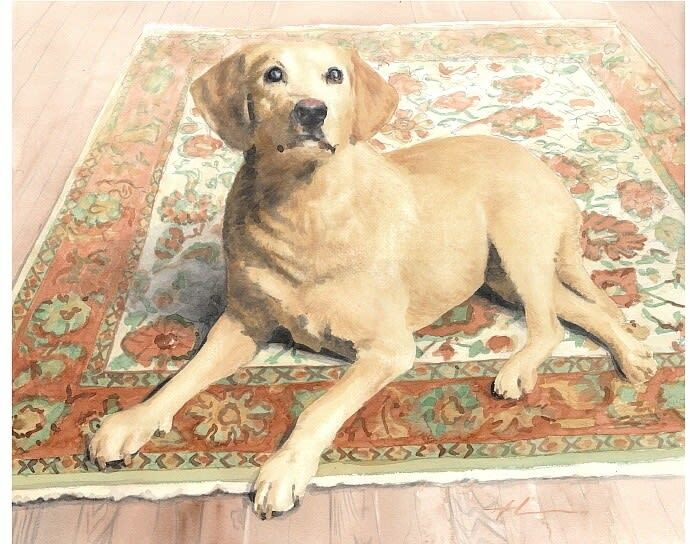 Take the Labrador watercolor portrait, for example, which gets reflected light directly from behind. The rug colors at the front farthest from the reflected light are darker than colors at the back of the rug nearest the refected light. And in the house painting which is lit by reflected light from the right side, highlights on the left bushes are darker than highlights on the right bushes. These changes in colors and highlights are almost as if we were looking at the subjects through a graded filter which for the dog might look something like this . . .
'Fresh eyes' is a term I use which means to see your painting anew. The traditional method of seeing with fresh eyes is to walk away from a painting and look again after an hour or more. Then when you see the painting anew, problem areas stand out and are easier to fix. In my case the problem areas were places where the light movement appeared too abrupt. But I didn't use the traditional fresh-eyes method to see the light-movement problems. Instead I used three fresh-eye techniques which were quicker. 1) Squinted! Squinting blocked the detail and let me see the bigger areas. 2) Drew upside down. Since each drawing and reference photo was taped to a board, sometimes I spun the board around. While upside down, I saw the values more and the details less. 3) Held my drawings to a mirror. Holding each drawing to a mirror when I was almost done, made each look completely different so the most subtle problems jumped out. 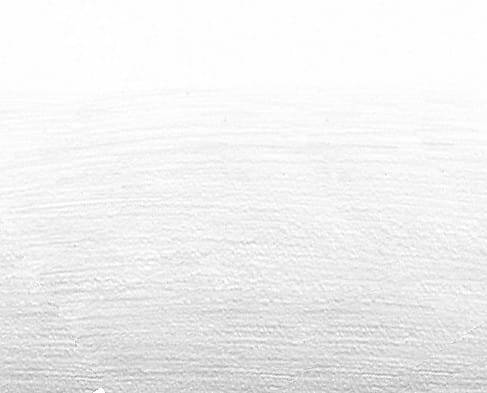 These fast fresh-eye techniques made it easy to make the light movement in my watercolor portraits of a Labrador and a house seamless. (They also helped me finish each painting in around an hour!) As a result, each painting came more to life. Apply my fresh-eyes techniques to light movement in your own painting and your painting will come more to life. since 2007I started my portrait business online in 2007 with this portrait.